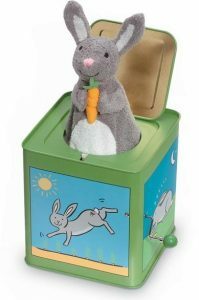 What better way to bring a smile to a kid’s face on Easter morning than to give them this Bunny Jack-in-the-Box I found from the fine folks at Jack Rabbit Creations? Find the Bunny Jack-in-the-Box from Jack Rabbit Creations here. Lost Cowboy is powered by	WordPress 5.0.4 and delivered to you in 0.934 seconds using 45 queries.